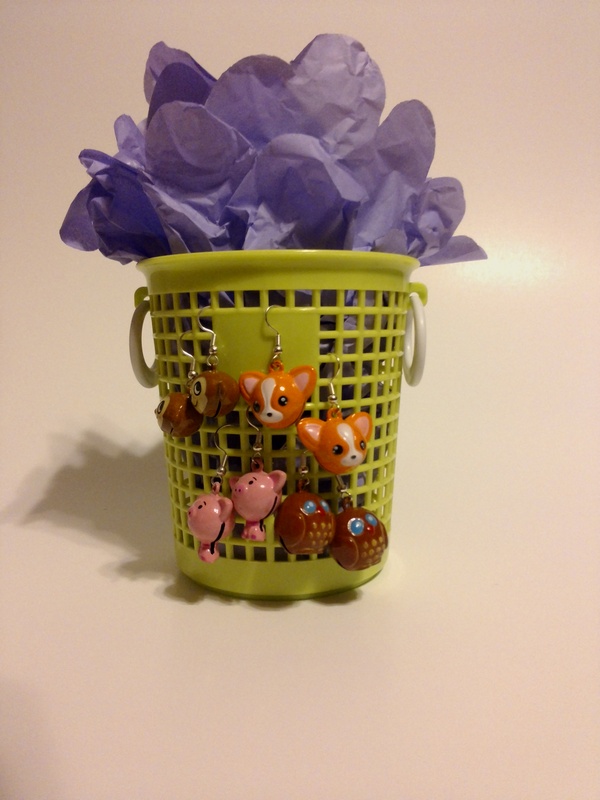 Everybody loves these cute jingle bell earrings, so why not try to make some yourself? 1. Cute animal jingle bells. We got ours HERE at Fire Mountain Gems. 1. Use Jewelry pliers to open loop at bottom of french hook by gently grabbing loop at opening with pliers and twisting pliers slightly backward. 2. Slide jingle bell onto loop. 3. Close loop by gentle grabbing loop where your pliers were before and twisting them slightly forward until ends meet. See how easy that is? Jingle bells come six to a pack . These are fun to make with friends! My mom drinks primula tea and it comes in these cute little cardboard boxes, so we decided to decorate them to turn them into cute little totes. 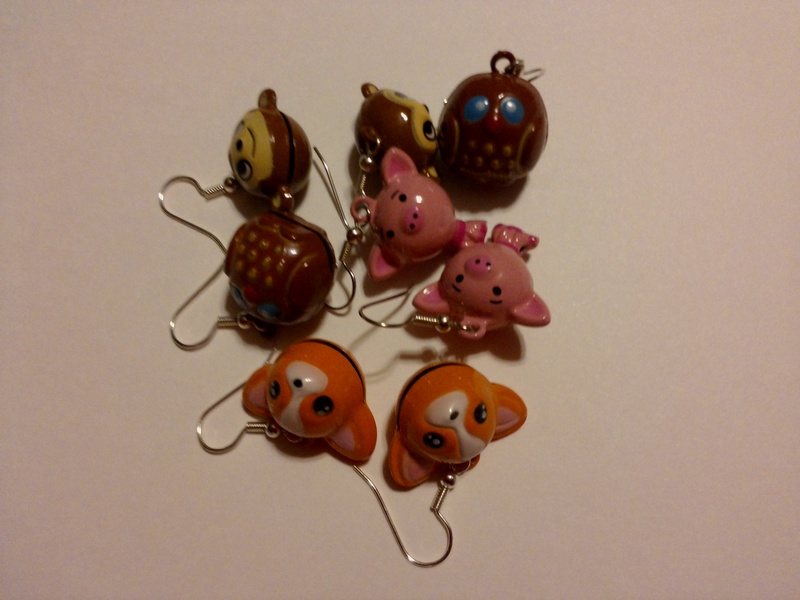 These are the perfect size to carry a cell phone or ipod along with chap stick, pens, and more. 1. Carefully remove string from canister. Pay attention to how it goes in and out of the holes. 2. 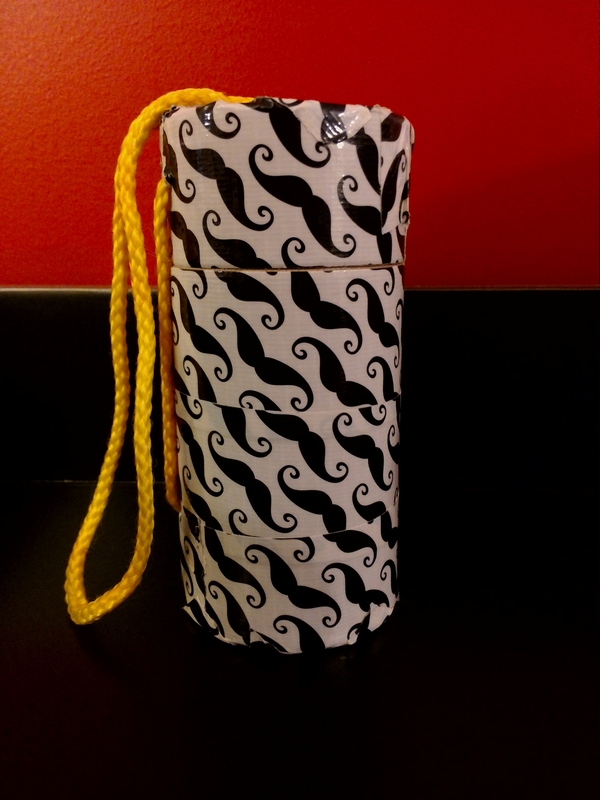 Wrap tape around canister and cut. Repeat until canister is covered. 3. Using scissors, poke holes in tape to match holes in canister. The box on the on the left was decorated with sharpies and a felt shape. 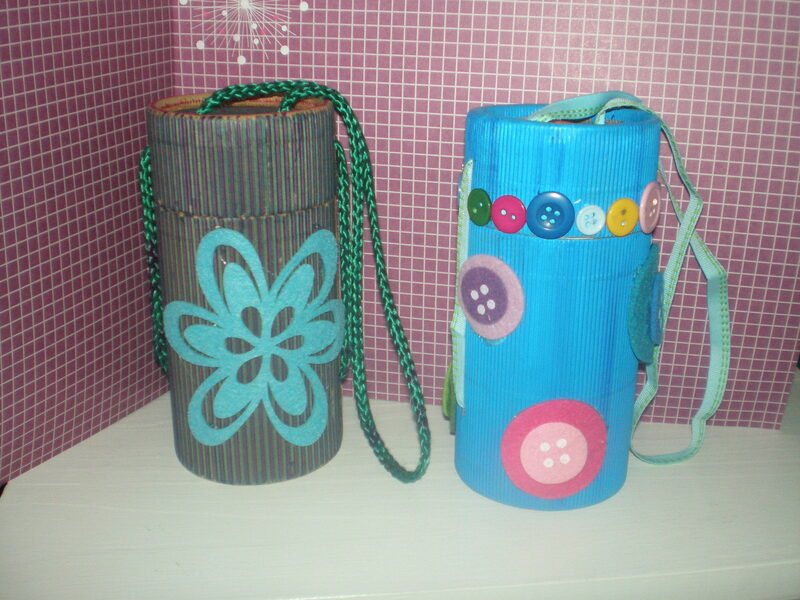 The box on the right was painted with acrylic paint, then decorated with felt shapes and buttons. Notice that a different type of string can be used when you are ready to restring the box, you can replace the string that comes with the box with ribbons, like my friend A. M. did with the box on the right. Tie a large knot in one end of the string. Starting inside the canister at one of the bottom holes, begin putting string in, the way you took it out. You should end up with a loose end back on the inside of the box. Tie another knot that is too big to leave the hole. Secure with glue if needed. These also make great boxes for sharpies and other markers! To see a photo of what the boxes looked like before, or to order primula tea, click HERE!